One of my favorite sunny treats is frozen yogurt. 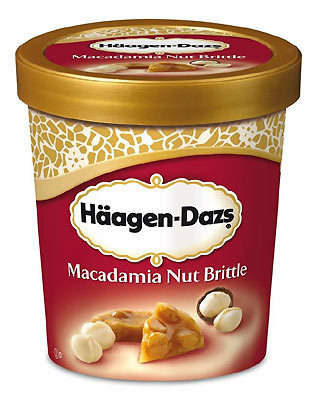 Low in calories, fat and it tastes better than ice cream (but I'm not a big ice cream lover generally; Häagen-Dazs Macadamia Nut Brittle and Yukimi Daifuku are my exceptions though). The best part of frozen yogurt is choosing the toppings. Wouldn't it be great to be able to choose as many toppings as you liked? Your wish is granted with Snog's newest shop in Marylebone. "How many toppings can we pick?" "As many as you like!" My friend Isabel (also check out her awesome London blog) had actually already told me the good news, but I needed to ask just to make sure. We were also told it's the only Snog in London where you can choose unlimited toppings (or really as many as can fit on your froyo), so I'm not sure whether it's a temporary little PR stunt or not so go enjoy it now. I've been twice so far and I always choose a small natural with raspberries, blueberries, strawberries, coconut flakes and mochi. 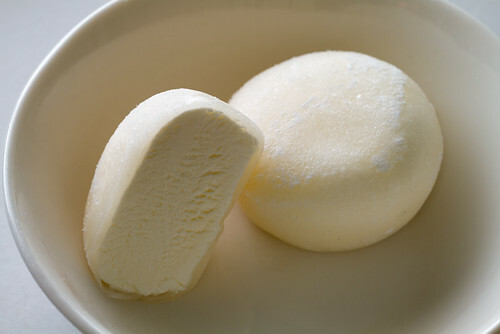 The last topping was the best surprise, I love the rice dough around mochi ice cream (yukimi daifuku) so I was really happy. Very chewy and soft, the best topping! You can find this Snog just off Marylebone High Street, on Marylebone Lane. It's next to one of my favorite restaurants, Le Relais de Venise. Eat in the sun and enjoy!